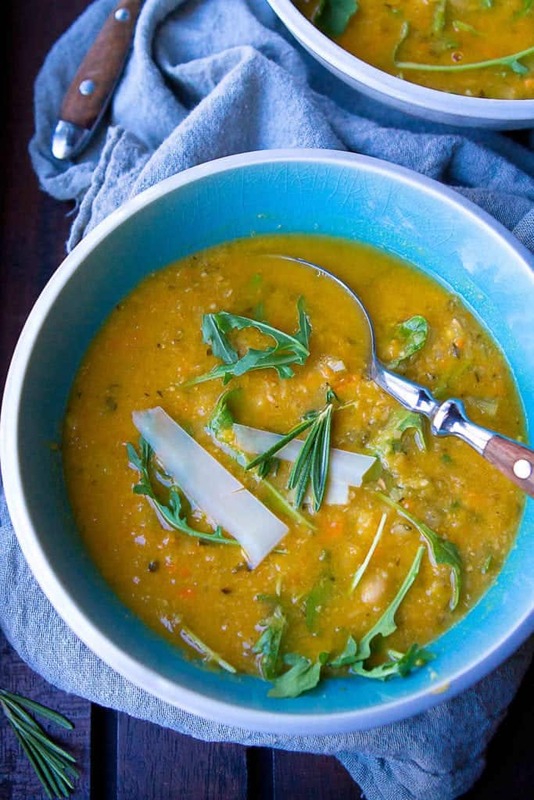 If you’re thinking there’s no way that a vegetarian soup could fill you up at dinnertime, think again! This white bean soup recipe packs 13 grams of fiber and 14 grams of protein into one hearty serving. You’ll never miss the meat! 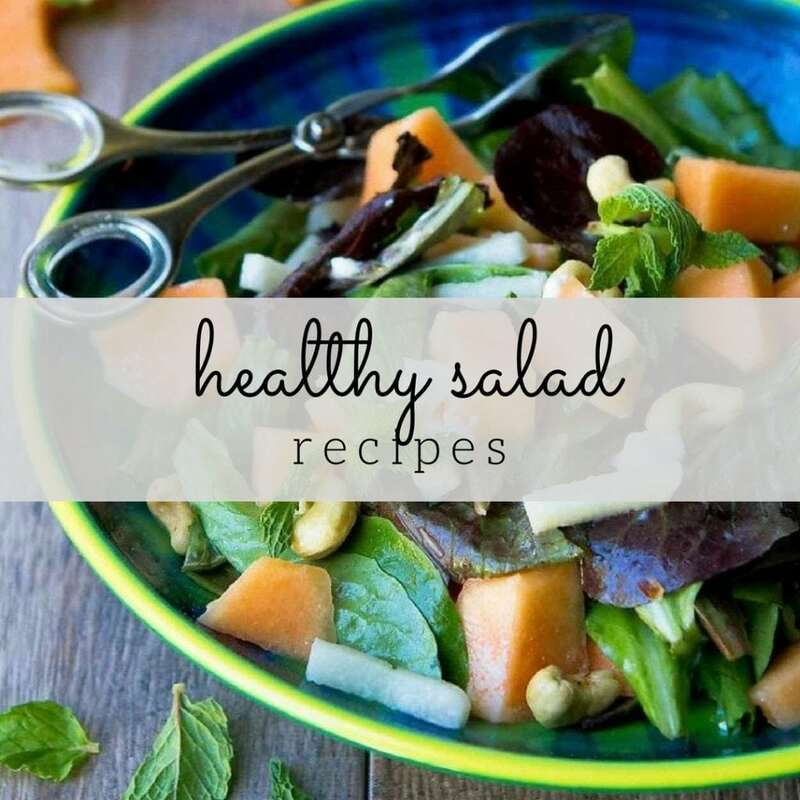 While I typically serve a green salad, a kale salad or even a broccoli salad with soup for an extra boost of greens, you could get away without it because this soup also includes a couple of handfuls of peppery arugula and other vegetables. It’s truly an all-in-one meal. As much as I wish I could claim credit for this soup, all of the accolades belong to my friend, Samantha Ferraro of the blog The Little Ferraro Kitchen. 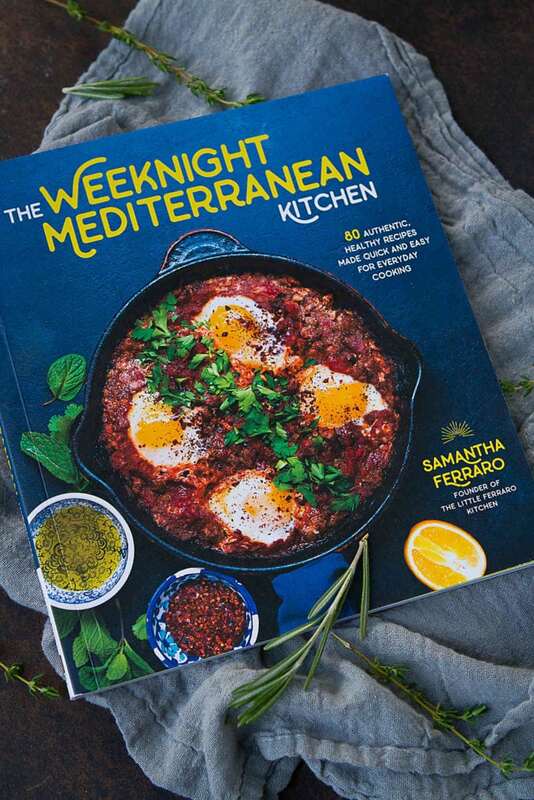 This recipe is straight from her gorgeous new cookbook, The Weeknight Mediterranean Kitchen: 80 Authentic, Healthy Recipes Made Quick & Easy for Everyday Cooking (affiliate link). This book would make a fantastic gift for a friend or family member (or for yourself) – the holidays are coming, friends! It’s filled with beautiful photographs and recipes that are really approachable for the home cook. 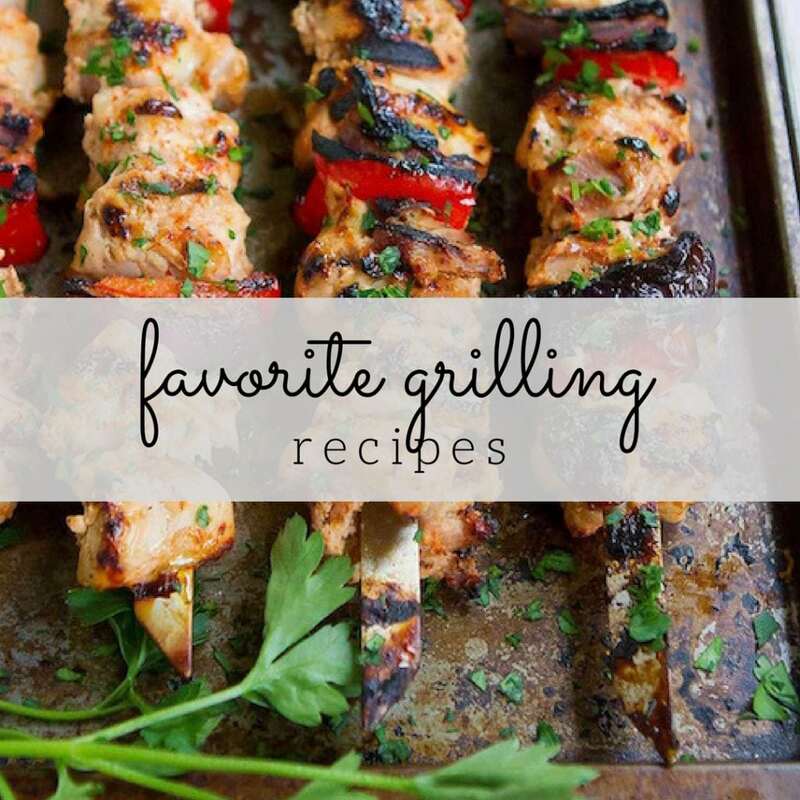 Sam has a knack for producing flavorful recipes with simple, natural ingredients. Some of the other recipes I’ll be trying? Poached Fish with Chickpeas, Tomatoes & Herbs (such a simple way to prepare fish); One-Pot Paprika Chicken with Olives & Orzo (can we ever have enough one-pot meals?!) 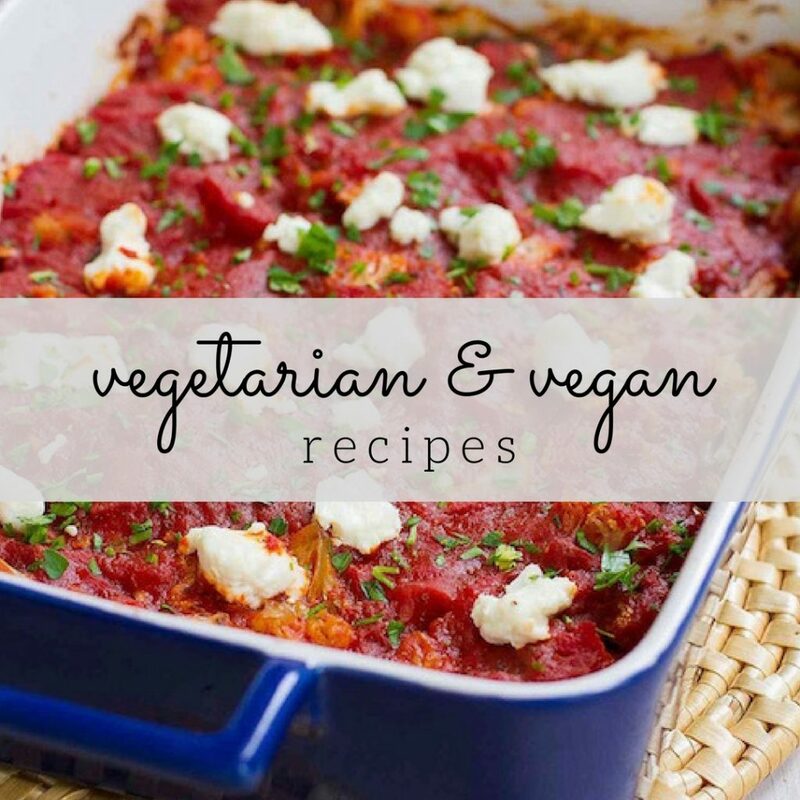 and Baked Feta, Two Ways (sounds like game day munching to me). Safety first! I’m going to start with a warning because the last thing I want you to do is burn yourself. If you choose to puree some of the soup in a blender, PLEASE let the soup cool down a bit before doing so. Hold the lid on tightly while pureeing, but stop the blender and release some steam after a few seconds to avoid the lid blowing off from steam pressure. This soup is a cinch to make and just requires a bit of chopping. If you’ve never cooked with a leek before, hop over to my tutorial on How to Prepare a Leek (it’s super easy – I promise). In this recipe, a piece of Parmesan cheese rind is added for extra flavor. If you follow a vegetarian diet, be sure to use rennet-free Parmesan. If you follow a vegan diet, leave out the cheese altogether. This soup is great as a make-ahead meal. I recommend stirring in the arugula right before serving so it doesn’t over-wilt. Heat the olive oil in a large saucepan set over medium heat. 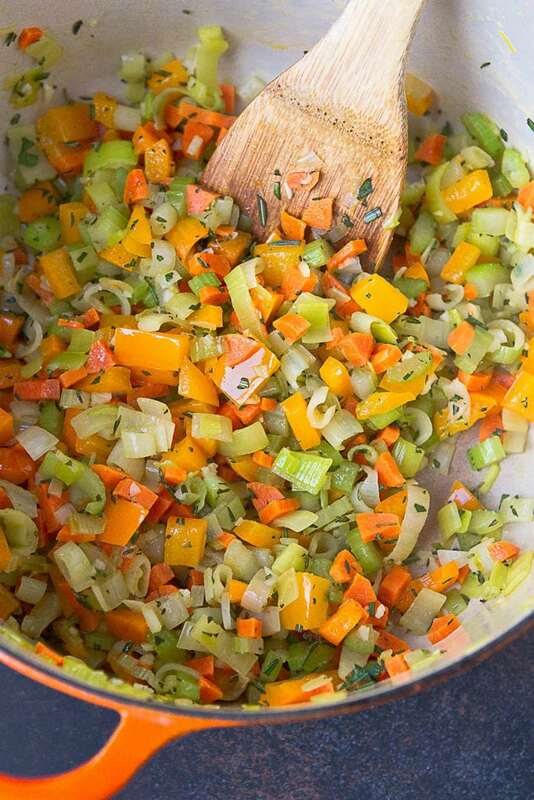 Add the celery, leek, bell pepper and carrot, and saute so they all begin to soften, about 5 to 6 minutes. Allow the vegetables to sweat but not turn brown – you just want them to soften. Add the garlic, dried oregano, rosemary, oregano and thyme, and continue to cook, stirring everything together for another minute. Pour in the broth and add the bay leaf, lemon zest, Parmesan rind, chickpeas and beans. Stir to combine and season to taste. Cover the pot with a lid, bring to a low simmer and cook for 30 minutes. 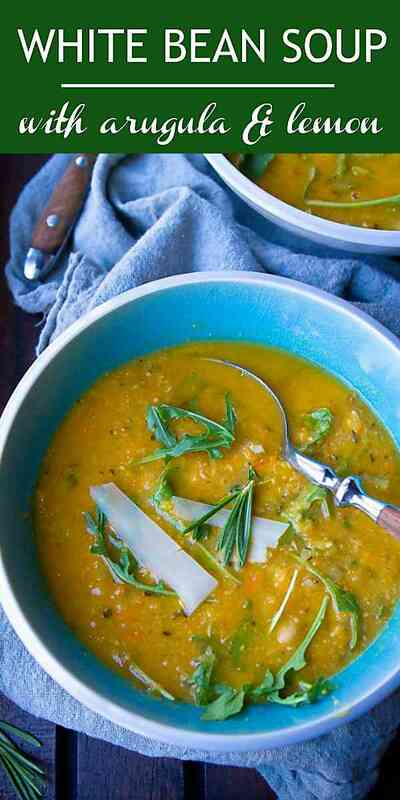 Remove the soup from the heat and add the arugula. The residual heat will soften the leaves. Garnish with the strips of Parmesan. Re-published with permission from The Weeknight Mediterranean Kitchen by Samantha Ferraro. *Original recipe calls for 3 tablespoons of olive oil. **Original recipe does not call for low sodium broth, but I went this route to accommodate those watching their sodium. Feel free to use regular vegetable broth or even chicken broth. ***Parmesan strips not included in nutritional information. Absolutely delicious. I can’t wait to try this soup. Simply mouthwatering and healthy too.